I bow to the all encompassing power and energy. I bow to that through which Goddess creates. Shakti is, at it’s root, power; divine feminine creative power. This power is infinite and is always present; it manifests itself in awareness, in peace, in ecstacy, in our willfullness, in our intuition. There are many Shakti Goddesses and here, we will meet four of them. Durga is usually seen riding a lion or a tiger. She is the Divine Feminine in action. She carries a discus, a spear, a mace, a sword and a lotus. Durga was brought forth by male gods, who found themselves unable to defeat an attacking demon. They sent their power out as light and Durga was born. As she is the Protector of the World, she is victorious in fighting the gods’ battle. Later, when two brothers attempt to take over the world, the male gods once again turn to Durga, begging for her help. She assents and goes to them, whereupon she is insulted and offended by comments that she will be “of use” to the brothers. She informs the brothers that they both must fight her. Laughing, they agree and a great bloody battle ensues. Again, victory is hers. 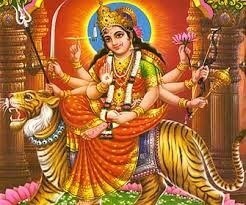 Invoke Durga when you are in need of her help, when you find yourself lacking in strength and courage. And clarify the heart forever. To plow the field of consciousness. I will reap a vast harvest of illumination for all living beings. Kali, Divine Kali, born from the eye of Durga at the battle with the demon brothers, born with a sword in her hand, cutting down the demon hordes. It is said that she used her long tongue to lick and drink the blood of her enemies. The battle puts her into a frenzy and she begins to dance her dance of death, faster and faster, destroying her enemies, crushing them under her feet. This is the dance of Kali. In more recent history, she is also Kali Ma, the Mother Kali, a loving presence to whom to pray. 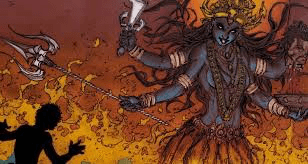 As with so many Goddesses, Kali is both light and dark, Destroyer and Nurturer. Invoke Kali when you are in need of having obstacles removed, when you need freedom from negative situations. Remember, though, do not call on Kali lightly, as she is fierce when invoked. 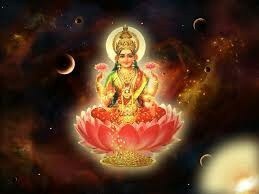 As she floats on a lotus, Lakshmi is spiritual enlightenment. She is the symbol of spiritual prosperity, love and happiness. She embodies goodness. She is the symbol, also, of material prosperity and wealth. Her worship, in Hindu India, is the basis for the reverence of cows. 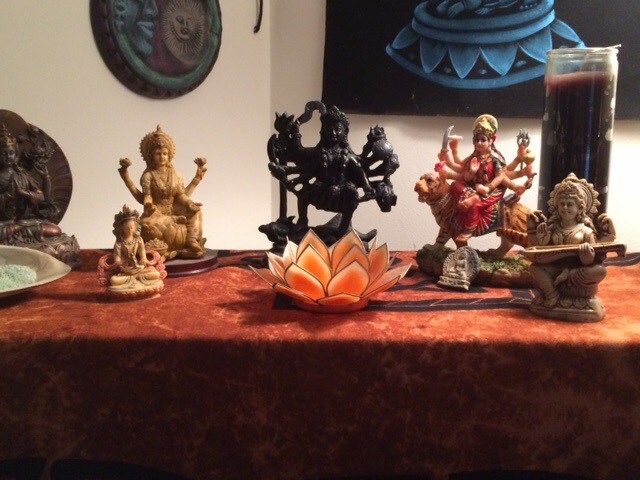 Lakshmi serves as a balance to both Durga and Kali. Invoke Lakshmi for her blessings, for good fortune, wealth, success and goodness in life. She whose name means “the flowing one”, you will find her on the lotus of upon a swan. She is the Goddess of water, from which all life flows. She is the symbol for creativity, writing, music. She has been here since the beginning and will always be here. She is the womb, the waters of life. She is there when we are inspired, when we are moved to *create*. 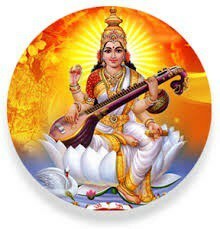 Invoke Saraswati when you need help with communication of all kinds, in music, in literary ventures, and when you need inspiration, or to just trust in your intuitive creativity. extends beyond them – so vast am I in greatness.